(Photo: REUTERS / Kim Kyung-Hoon)A Catholic priest prays for family members of missing passengers aboard the South Korean ferry Sewol which capsized on Wednesday, during a special Easter service at a gymnasium in Jindo April 20, 2014. More than 50 people are now known to have died and 252, mostly children, presumed dead in the upturned hull of the stricken vessel that capsized off the southwestern tip of the Korean Peninsula on Wednesday. Since then hundreds of other relatives have spent 24 hours a day waiting helplessly for news in makeshift accommodation at a gymnasium in the port city of Jindo, the center of the rescue operation. South Koreans are increasingly converting to Christianity, a proof of the growing vitality of the Church in the country, says a Catholic leader. Bishop Mario Toso, secretary of the Vatican's Pontifical Council for Justice and Peace, told Catholic News Agency that marginalized people were looking to the Church to gain a sense of belonging. "I could personally witness that the Catholic Church is a sort of 'hook' for poor and unemployed people in South Korea," Bishop Toso told the Catholic News Agency, recalling a recent trip visit to South Korea. "I was especially struck by priests who advocate for the weakest people and share their pain in different social contexts," he noted. Toso was in Seoul in June to give a series of lectures on Pope Francis' Evangelii Gaudium (The Joy of the Gospel), an exhortation to evangelization. He said shared that despite Roman Catholics being a minority in South Kora the community's passion remains strong to counter the rise of "materialism" and "consumerism." "I could highlight in my lectures and I personally saw that the Catholic community in Korea is strongly committed to the announcement of the Gospel and Jesus," Toso recounted. "This is a revolutionary step, since the presentation of Jesus faces the dominant culture – in Korea as well as in the rest of world – of a materialism and consumerism ready to adore the idol of money and to consider the weakest people as useless." Participation in the lectures had a diverse collection of people, which included atheists, who Toso said were "struck by the words of the Mass." 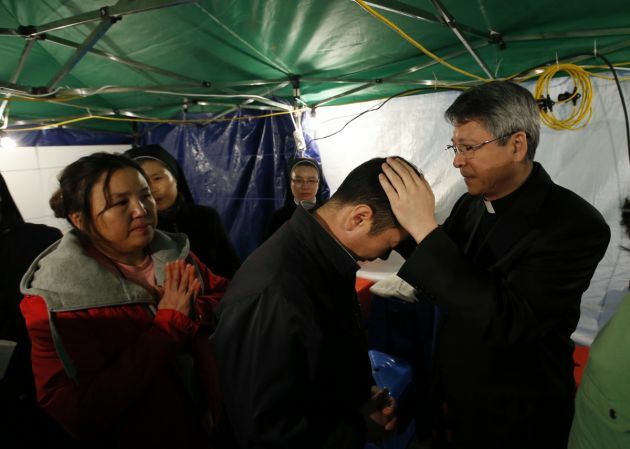 Toso told CNA, "The Church in Korea is very close to the people." About 30 percent of South Korea's population of 49 million are Christians, with Catholics comprising some 11 percent of South Korea's population. Buddhists account for more than 20 percent of the people. Despite being a minority Catholics have about 30 representatives in South Korea's Parliament, examiner.com reported. The report said that nearly 47 percent of the country identifies as irreligious or non-religious, and at least one statistical report says around 15 percent of the population of South Korea identify themselves as convinced atheists. Pope Francis will visit South Korea from August 14 to 18 and participate in Asian Youth Day.